the crazy thing didn't work......he is a cold blooded KILLER!!! Colorado movie massacre gunman James Holmes was found guilty on Thursday of multiple counts of first degree murder and attempted murder, a verdict that enables prosecutors to seek the death penalty for the former graduate student who killed a dozen people and wounded 70 at a midnight premiere of a Batman film in 2012. After a three-month trial in which they were presented with thousands of pieces of evidence and testimony from hundreds of witnesses, jurors deliberated for about a day and a half, then handed prosecutors a big win. The panel of nine women and three men rejected the defense's claim that Holmes was legally insane. Holmes showed no reaction as the lengthy, multi-count verdict was read by Arapahoe County District Court Judge Carlos Samour. The gunman stood beside his court-appointed attorneys, looking straight ahead with his hands in his pockets. so glad they didn't fall for the crazy train excuse !!! Colorado theater shooter James Holmes passed up a last chance Wednesday to speak in court and help save himself from execution. Holmes kept his silence after the jury weighing his fate heard from a final witness, a young woman who lost both her 6-year-old daughter and her unborn child in the July 2012 Aurora massacre. Asked by Judge Carlos Samour if he wanted to take the stand or make a statement, Holmes said he did not. Holmes has repeatedly declined to testify at the trial, which began on April 27. He was convicted last month, and the same jury is now considering whether Holmes deserves the death penalty or to spend the rest of his life in prison for killing 12 people and injuring 70 at a midnight screening of "The Dark Knight Rises." Prosecutors and defense lawyers will deliver their closing arguments in the penalty phase on Thursday. ARAPAHOE COUNTY, Colo. - The jurors in the Aurora movie theater shooting will rewatch video from the crime scene during their deliberations. The jury met at 8;30 a.m. on Friday and at 9:10 a.m. sent a note to the judge saying they had a question. That question was read in open court at 9:38 a.m. -- it was simply that the jury wanted a TV and DVD player. The judge responded by sending the jury a note asking which exhibit the jury needed the TV and player for. The judge returned at 10:56 a.m. to say the jury wanted to watch video from the crime scene. It's video shown in court, but not released to the media. The defense objected on the basis that the video is very graphic, but the judge ruled jurors could have the TV and player for 50 minutes, which is enough time to watch the video once. Now their final decision is the sentence -- should the gunman get life in prison or the death penalty? All of the members of the jury have to agree unanimously in order to sentence the gunman to death. If they do not, the defendant will be sent to prison for the rest of his life, without the possibility of parole. 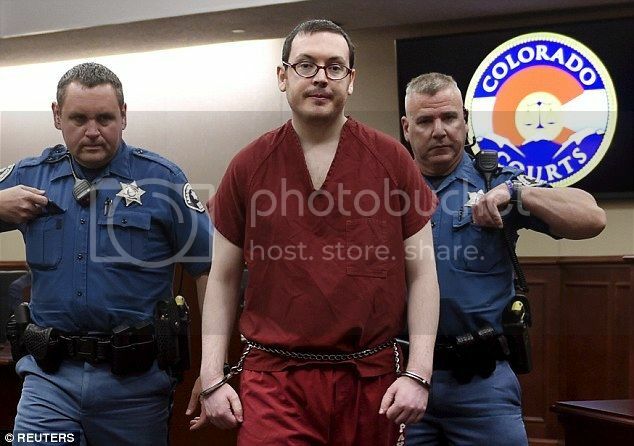 CENTENNIAL, Colo. — Death penalty deliberations in the third and final phase of the sentencing hearing for the Aurora theater shooter resumed at 8:30 a.m. Friday. They began Thursday around 3:30 p.m., following closing arguments. The jury deliberating for an hour without arriving at a verdict. The jury can come back with three possible decisions: a unanimous vote for the death penalty, a unanimous vote for life imprisonment without the possibility of parole or a failure to reach a unanimous verdict – in which case the court will be required by law to render a sentence of life imprisonment without the possibility of parole. A jury was unable Friday to reach a unanimous sentencing verdict, which results in life in prison without parole instead of the death penalty for Holmes, who had pleaded not guilty by reason of insanity in the 2012 shootings. He was convicted last month of 24 counts of first-degree murder -- two for each of the slain victims. CENTENNIAL, Colo. (AP) — At least 100 victims and witnesses of James Holmes' deadly attack on a Colorado movie theater are expected to testify about the crime's profound and continuing impact on their lives during a formal sentencing hearing starting Monday. The three-day hearing gives survivors a chance to share their harrowing stories with the judge, but it won't change Holmes' sentence. Jurors already determined that Holmes will spend the rest of his life in prison without parole for the July 20, 2012, attack that killed 12 people and injured 70 others. Judge Carlos A. Samour Jr. will formally sentence Holmes to life on 24 counts of first-degree murder — two for each of those killed. This week's testimony will help him determine Holmes' sentences on 141 other counts that include attempted murder and an explosives charge. Samour has not set a limit on the number of people who can take the stand. James Holmes was an angry quitter who gave up on life and turned his hatred into murder and mayhem against innocent victims in a Colorado movie theater, the judge said Wednesday before formally sentencing him to life in prison. 'It is almost impossible to comprehend how a human being is capable of such acts,' Judge Carlos A. Samour Jr. said. Rumpole, I think we can put a fork in this one. Anyone who followed the trial, may find this short interview with prosecutor George Brauchler, interesting. It's here in the archives now. On display in the bottom of a locked filing cabinet stuck in a disused lavatory with a sign on the door saying 'Beware of the Leopard'." State prison officials say they will not take additional security measures to protect James Holmes after his recent assault at the Colorado State Penitentiary. Mark "Slim" Daniels, 27, assaulted Holmes on Oct. 8 as the two inmates crossed paths inside the state's highest security prison. Holmes was not injured. 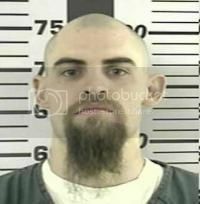 The Colorado Department of Corrections is not reviewing its security procedures following the attack, believing that current security measures are adequate, prison spokeswoman Adrienne Jacobson said Monday. Daniels' father, Tim Daniels of Gettysburg, Pa., said he believes the CDOC tried to prevent his son from telling anyone about the assault and he believes that violated his son's rights. Tim Daniels said his son wrote the letter to the newspaper — forged with the name of another CSP inmate — to let people know he had assaulted Holmes. "He wanted to get this out," Tim Daniels said. He said every time his son called him and started telling him about his assault of Holmes, prison staff would disconnect the phone call.